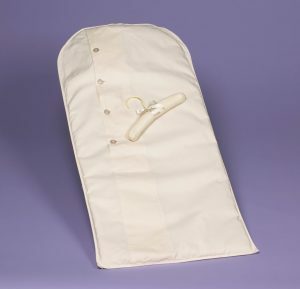 New 48" Archival Baby Garment Bag | Foster-Stephens inc. In introduction to our newest baby item, we are having our first BABY SALE! A designer of christening gowns that we do business with needed a much longer Archival MuslinChristening Kit for her beautiful creations than the 38” bag that we currently stock. Our new bag measures 48” so that the skirt will not have to be folded if it is on the long side. If you measure your christening gown from shoulder to hem, if it is more than 37” then you should use the longer garment bag. 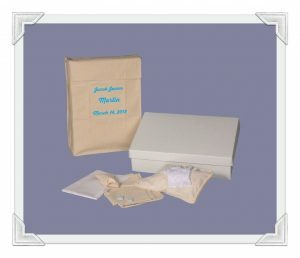 Our Archival Muslin Christening Kits come with everything to safely store these precious items in a closet such as a 10” archival hanger, Id tag for name, buttons and extras, acid-free tissue and white cotton gloves to safely handle the items you are preserving. Everything comes in green packaging with a reusable muslin storage bag. Foster-Stephens’ wants to do our part to protect the planet from plastic by providing you a zippered reusable bag that will safely store so many items in your house! Our other baby items include our Edwardian, handmade,preservation boxes. These come in cute pink and blue and for even more fun we now carry Winnie the Pooh in pink and blue. 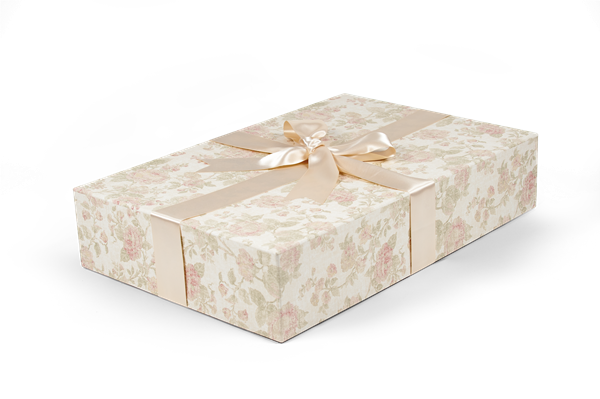 These preservation boxes for baby clothing and keepsakes are also a great way to present gifts to the mom to be or for a christening or first birthday! Imagine, you will not have to buy or wrap the gift. These boxes are already as gorgeous as can be and have a lovely satin ribbon. Another green solution to waste! Small Preservation Kit for baby. These are perfect for the personalization of a keepsake for the new baby. What mom does not love to see her babies name and birth date delicately embroidered for a family heirloom? Our Kit comes with everything you need to store your items so your child can pass it on to their children. 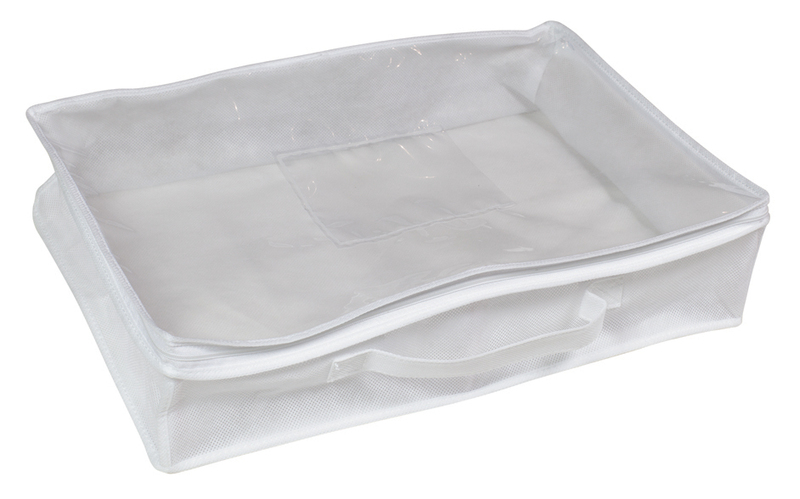 Foster-Stephens’ also has a few other storage bags in baby sizes that can be used for everyday storage on a closet shelf or to keep your child’s clothes dust free while hanging. Our 48” non-woven bag can do the trick for several items at once and our 10” Archival hanger will work with most of baby’s clothing. Our Small Zip Pak can hold a few items as well. If you need something a bit bigger, the Medium will hold baby blankets, coats and more. Be sure to check out our accessory page for baby items on sale. Our sale starts August 1st for a limited time.